Explore the Mayan Riviera’s nature and culture on this guided excursion. 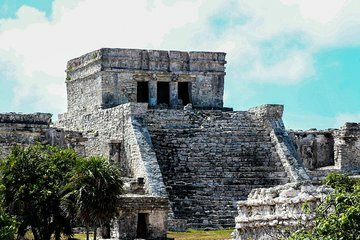 After convenient hotel pickup, head to the ancient seaside city of Tulum and learn about its rich history and architecture from an informative local guide. Then, marvel at Grand Cenote’s at amazing rock formation and snorkel in its refreshing waters before kicking back on the beach at Playa Paraíso.